Home » News » Princess Update to the Disney Tsum Tsum Japan App! New Princess Tsum Tsum now in the app: Esmeralda Tsum Tsum! Lucky Time for this Tsum Tsum ’til 6/15! Rays of light from a church window clear Tsum Tsum! Summons Eric Tsum Tsum that can be connected to Ariel Tsum Tsum! Clears random areas of Tsum Tsum! Clears a vertical line of Tsum Tsum! Transforms Tsum Tsum into will ‘o wisps! 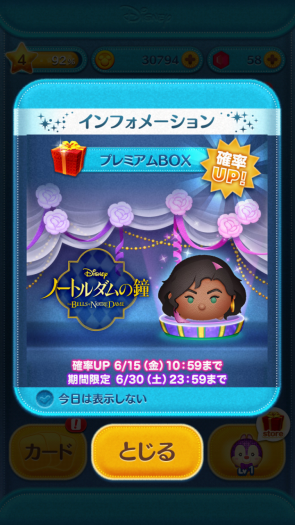 Also, there’s a Princess Event in the app ’til 6/23! 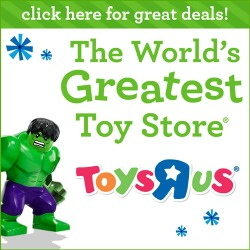 Use the new Tsum Tsum in this event! New Box Update in the Disney Tsum Tsum Japan App! New Capsule Update in the Disney Tsum Tsum Japan App! 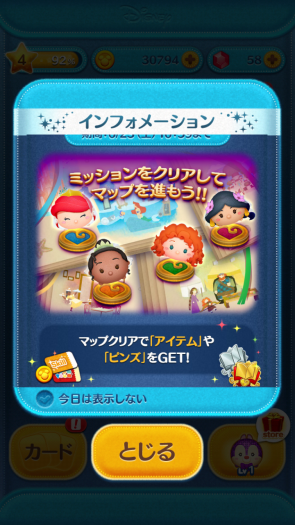 Pickup Capsule Update in the Disney Tsum Tsum Japan App! 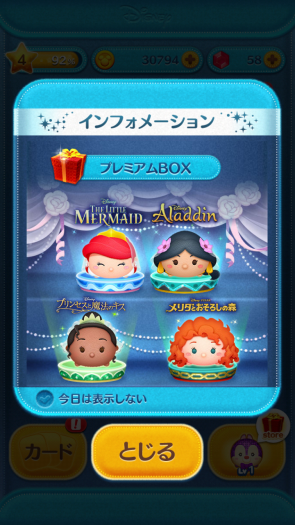 Princess Update on Japan Tsum Tsum App! Ninja Donald and Princess Daisy are now in the Disney Tsum Tsum Japan App! New D23 Expo Japan Disney Princess Tsum Tsum Set Coming Soon! Oh my gosh they added Esmeralda! ?